Now your calculator will always be just under the palm of your hand with the USB Mouse Calculator. To make it even more glamorous you can even use it for your digital number keyboard! Sorry guys and girls not our best product discription ever. 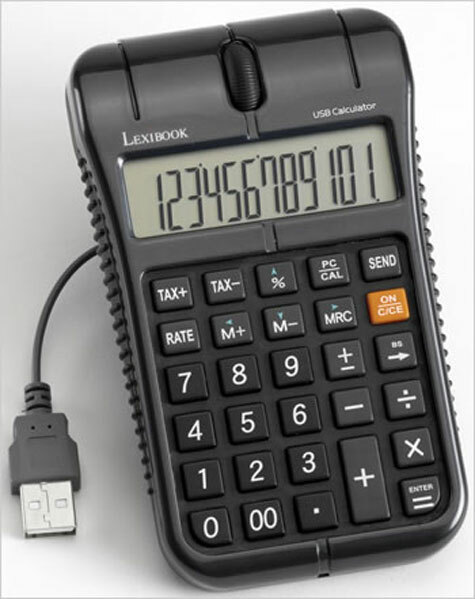 But lets face it, what else can we say about a USB Mouse Calculator? Kinda self explanatory don’t you think? * Optical Mouse to connect on USB. * Integrated 12 digits calculator. * Compatible with Window 98/98seMe/XP/2000/Mac/linux kernel.